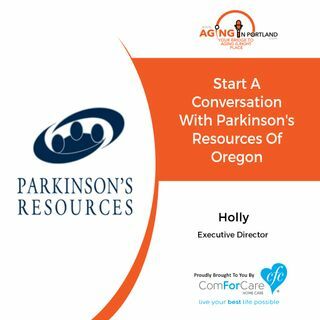 Holly Chaimov, Executive Director of Parkinson's Resources of Oregon (PRO) joins us on today's program. Here in Portland, Holly and her team are making a difference. The close-knit community at PRO is vibrantly active, and they want to help everyone living with this disease and their families. Each year 60,000 new cases of Parkinson's are diagnosed in the United States alone. PRO is here to carry on the conversation.